The green card based employment does not have conditions associated with it and can be changed as and when the need is there. It’s easily possible to alter jobs once you have gotten the green card from the sponsoring employer. So, its beneficial for an employee to be called to the US on this green card. This kind of green card is only applicable to you once your PERM labor certificate has been given the green signal by the Department of Labor in the US. However, you cant change the job immediately after getting the green card. This is because it can damage your profile and in the longer run attaining US citizenship becomes difficult for you. You should try to change the job after working for a considerable stretch of time for the sponsoring employer of your green card. Is changing the job before getting the approval for the I-485(green card) practical? However, if you are yet to receive the nod for changing status in this country through form I-485 even after getting PERM labor certification and approval for form I-140(work permit approval), then you can change jobs. You can change your job if 6 months have passed since your form I-485 was filed by the employer and no response is there. The employee must know that he cant change jobs to a completely different profile, from the one for which he received his I-140 approval. The candidate should continue working for the same profile although in different jobs in such a case. If the employee tries to change jobs before this much time has elapsed, he can lose his I -140 status. So, in that case, a new I0140 will have to be filed by your new employer and when it gets approved, a new I485. How to get the green card(EB2 visa)? In case an employer wants to get the EB2 visa for you, he just has to provide the I-140 form to the USCIS after getting your PERM labor certification. After that, as soon as this form is approved, the next step is getting the immigration. However, if the form I-140 is rejected, the candidate’s employer has to file this form again. The employer can also make sure that instead of new filing a new petition altogether, he fills a form, for the authorities to reevaluate the I-140 form filled previously. However, such a form can be submitted only within the time gap of 30 days since the I-140 was denied initially. Discussing the times which are required for the processing of the I-485 form, it all depends on how many family members are going to accompany you once you get the green card. Getting this form approved means you become the green card holder of US. Generally, this kind of employment is given to those who have an advanced degree from their own country. So, researchers are allowed to pursue employment in the US after getting the EB2 visa or the green card through the I-485 form. Stating the facts, the country of US has invited a lot of researchers here and the approval rate of this EB2 visa has shot up from, 90-95%. The EB2 visa is also given to those aspiring immigrants who have the I-140 and subsequently, the I-485 approved also. 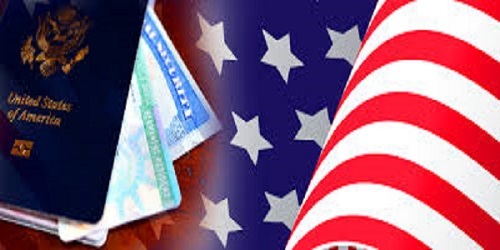 EB-5 US visa green card visa. permalink. What Are The Chances For an IT Engineer in Denmark?